I love cilantro (or coriander, depending on where you are in the world). It reminds me of hot summer days, eating outside with your shoes off and some of my favourite Asian-inspired dishes. But cilantro isn’t just a tasty addition to stir-frys and salads – no siree! Lucky for me, cilantro is pretty common in Colombian food. Visit Colombia and you are sure to get a good dose of cilantro. So, with my favourite herb in mind, I thought I would share with you some of my favourite Colombian recipes which feature cilantro – caldo de costilla, aji and hogao. And not only is cilantro a tasty addition to many Colombian meals, it’s also a detoxer and is packed full of vitamins and has loads of minerals, including potassium, calcium, iron, and magnesium. 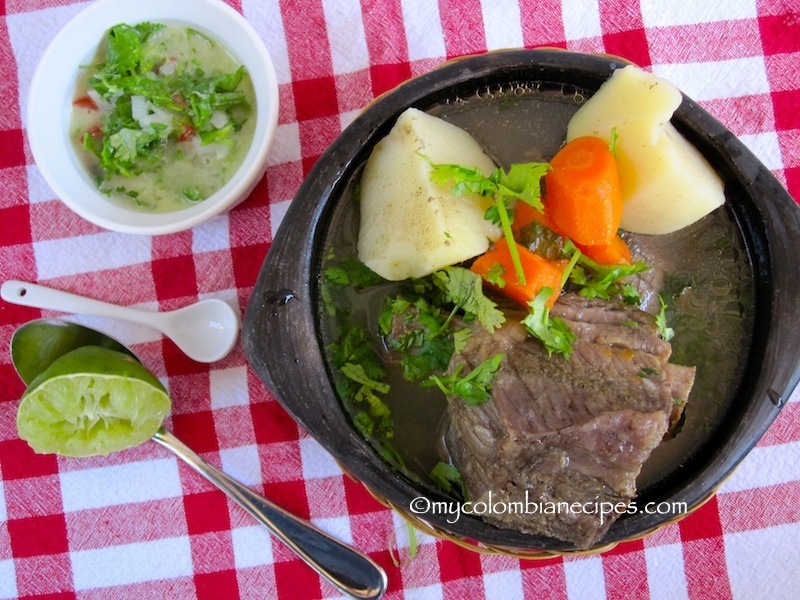 So, here are some great Colombian recipes featuring my favourite herb, cilantro. Enjoy! This is a hearty tomato sauce, usually served with patacónes (see above). Chop up the tomato and onions. Add oil to a pan on medium-high heat and add tomato and onion to the pan along with the cumin. Leave for five minutes, stirring often. Sprinkle some salt to taste. Add a splash of water and stir for three more minutes or until all the ingredients begin to thicken. Chop the cilantro up and add it to the pan. Stir for a couple of second and there you have it. Done! Aji is type relish that you will find in almost every restaurant here in Colombia. It is spicy, tangy and delicious. Add one cup of water, one teaspoon of salt, half a teaspoon of oil, vinegar and chili powder into a bowl. Chop the tomato and onion finely and add to the water mixture. Roughly chop your cilatro and add it to the bowl. Stir well and serve. Keep it in the fridge for up to three days. Nom! Enjoy these simple Colombian recipes, what are some of your favourites?